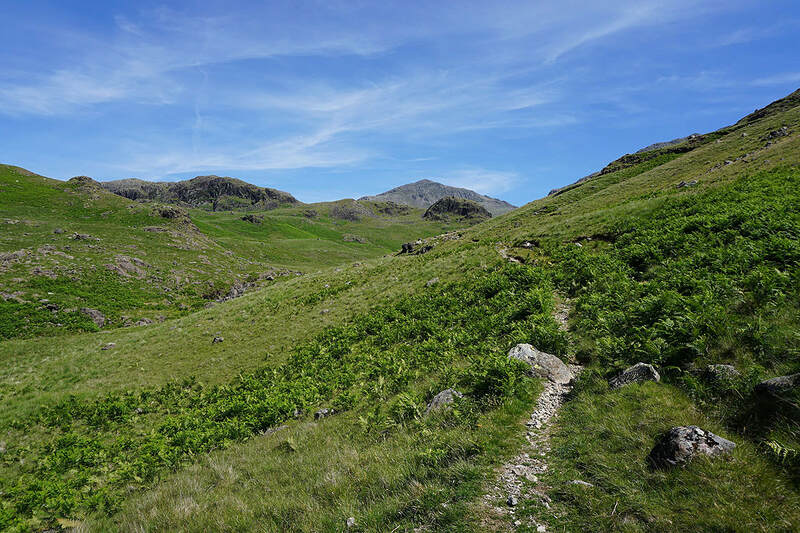 ​The final walk of my short break in the Lakes and also the shortest one. 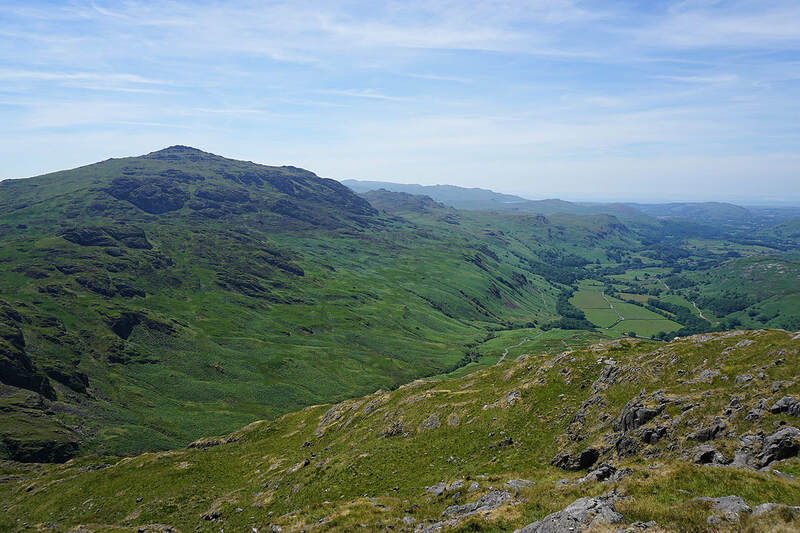 I planned to be heading back home by the middle of the afternoon so this route to the top of Hard Knott fit the bill. 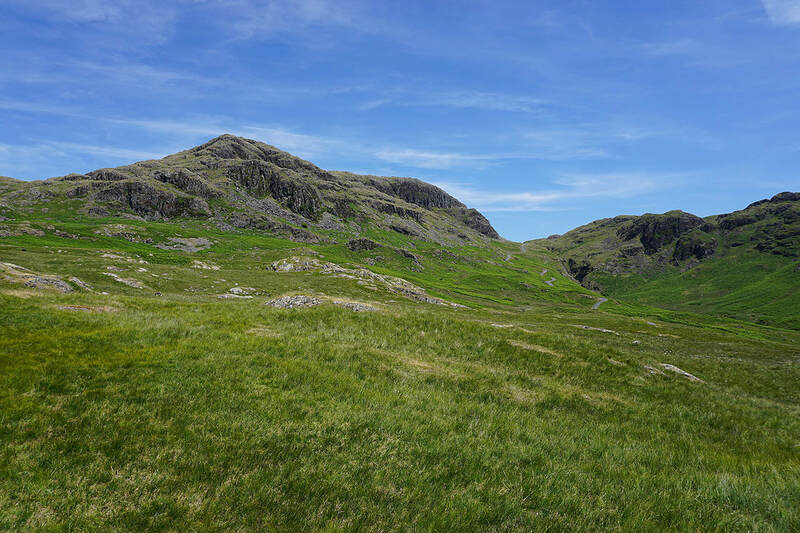 My only previous visit was in 2008, so this was another one ticked off for my second round of Wainwrights and it took the total to 127. 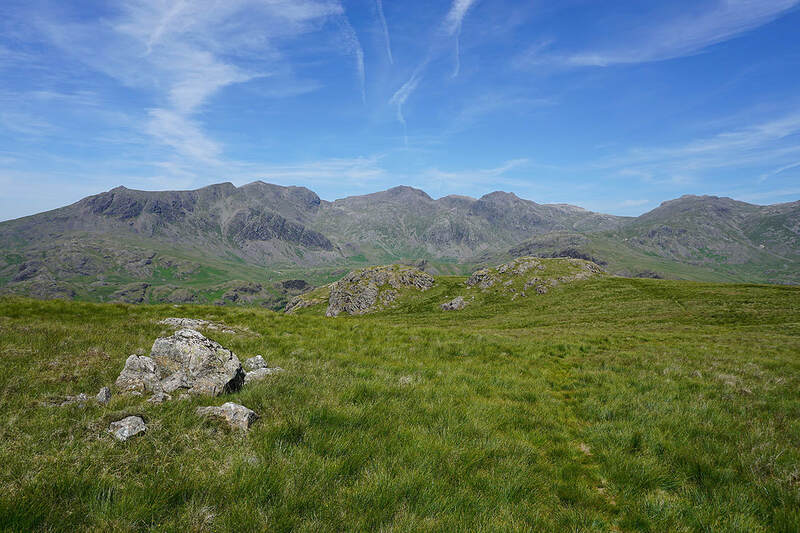 Another hot and sunny day, the hottest so far, and I was glad that I hadn't gone for a longer or more strenuous route, I might well have ended up struggling with the heat. 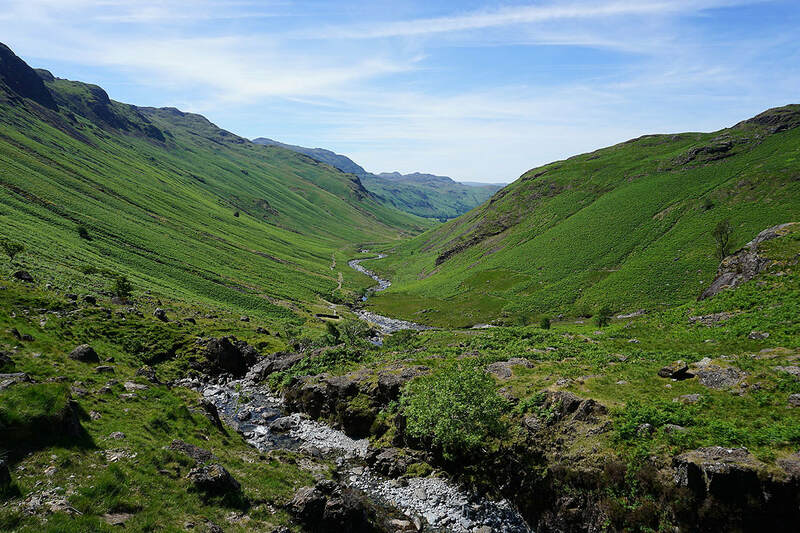 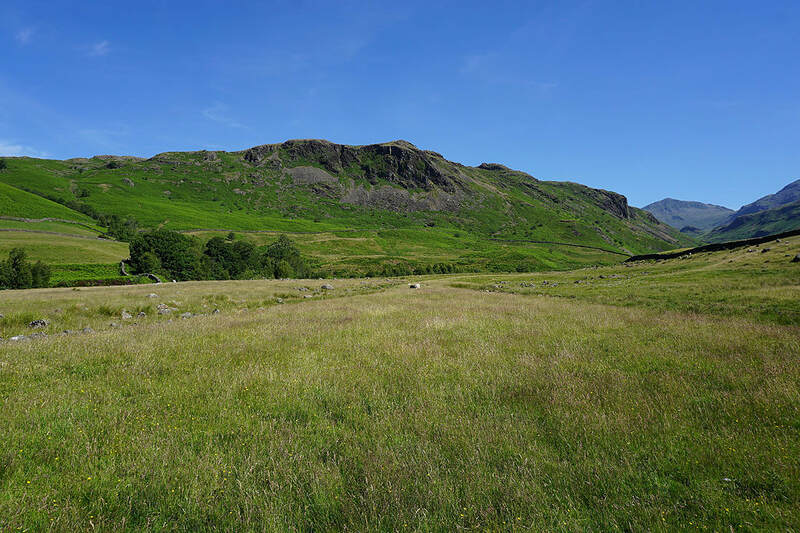 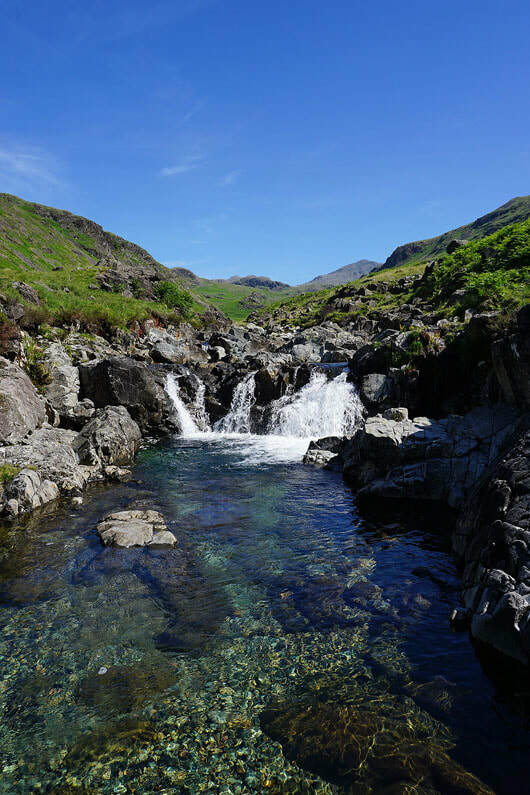 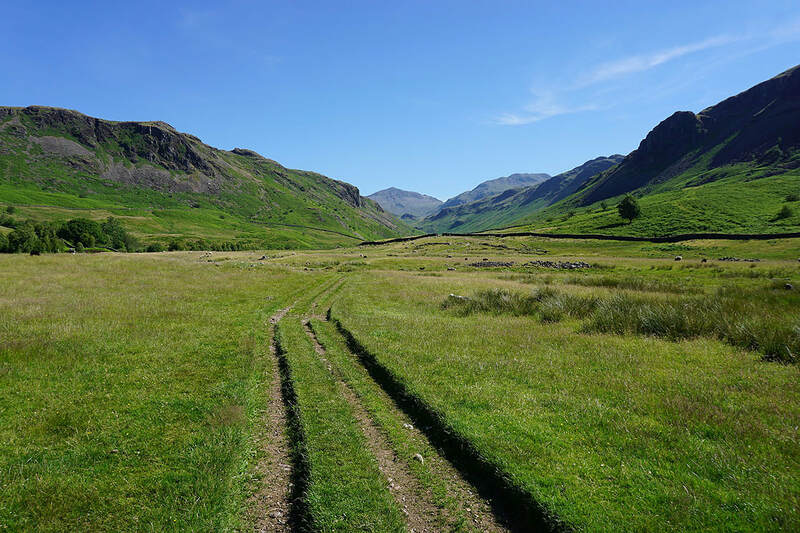 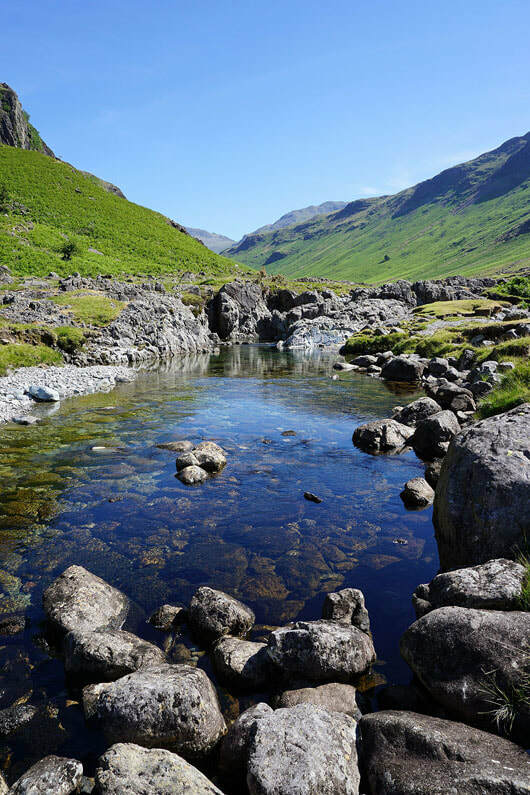 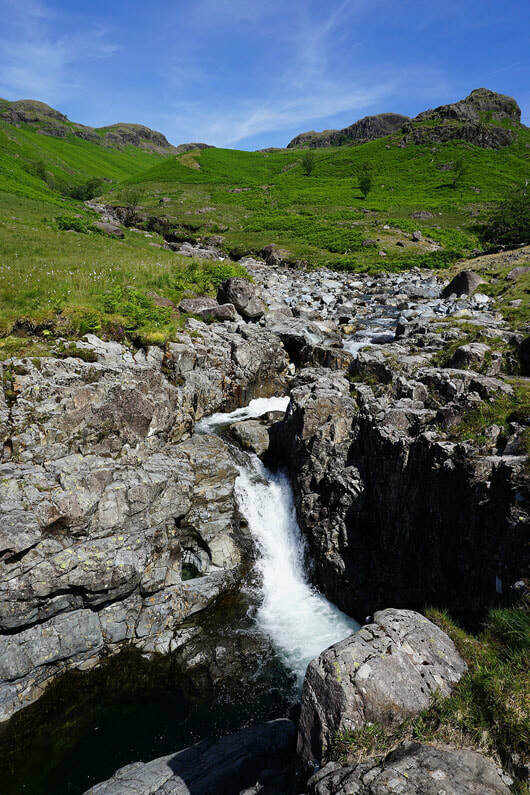 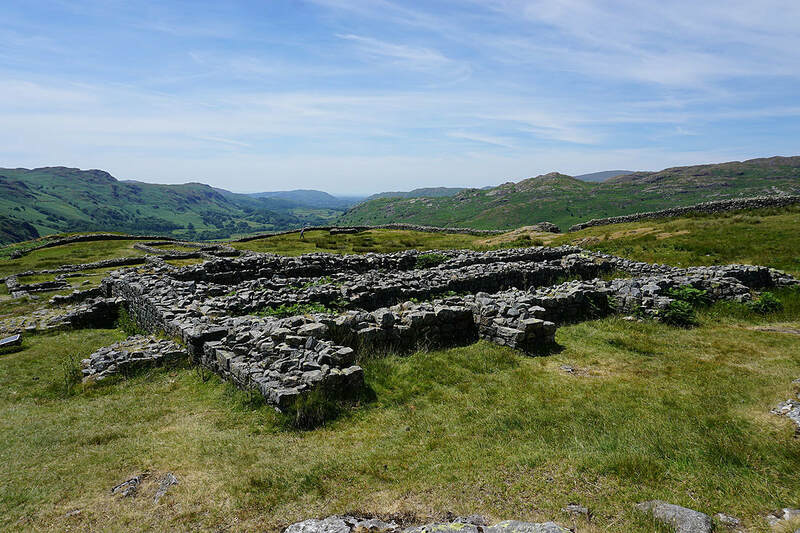 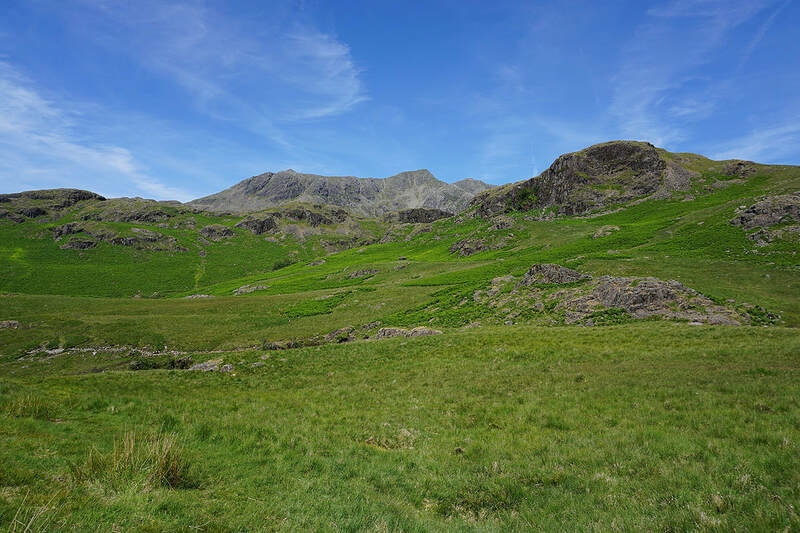 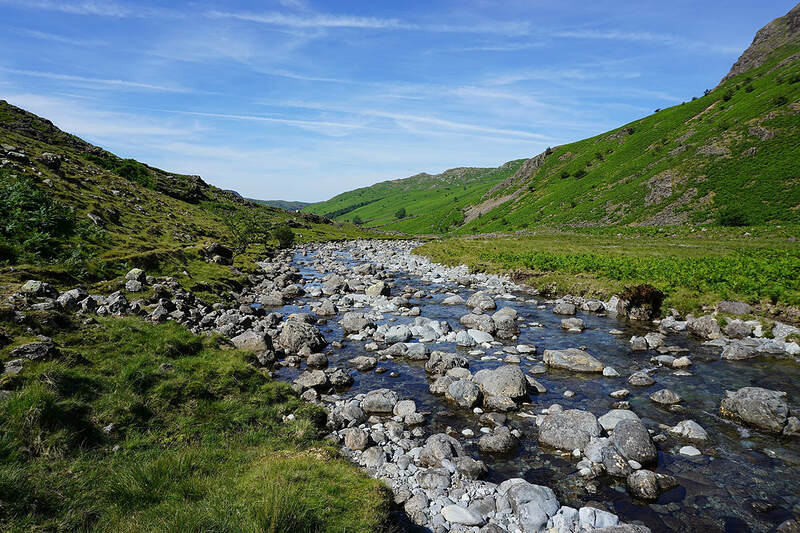 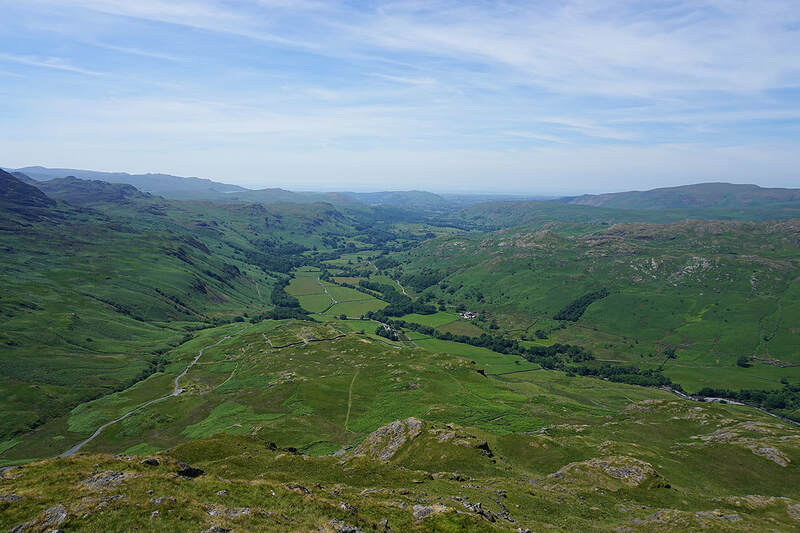 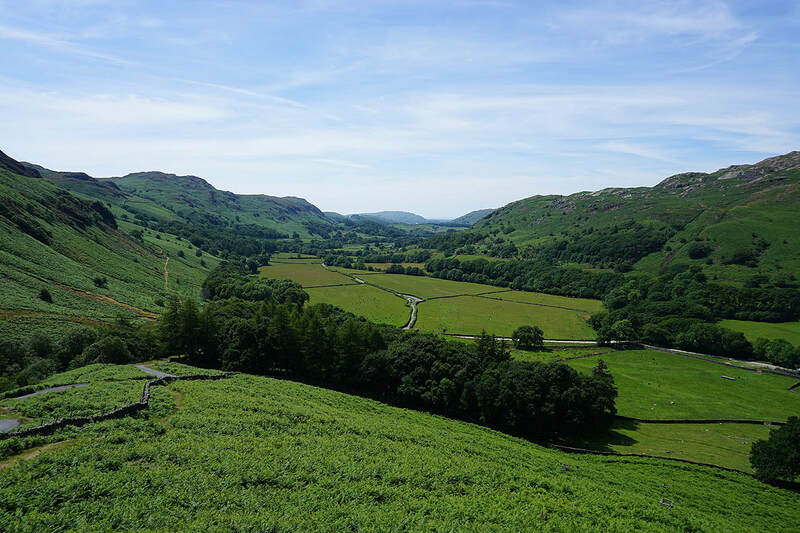 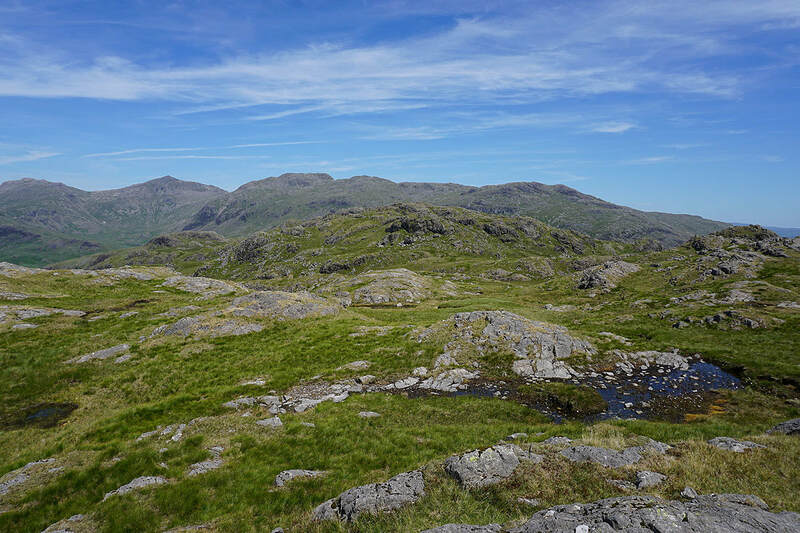 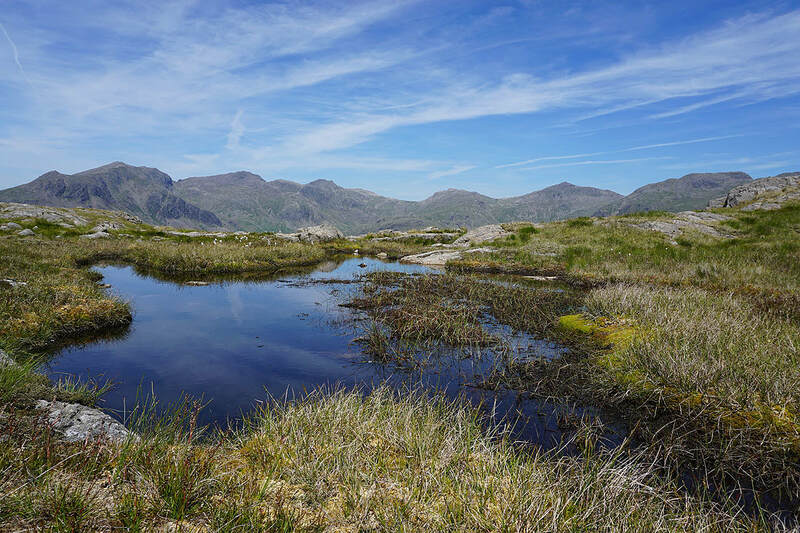 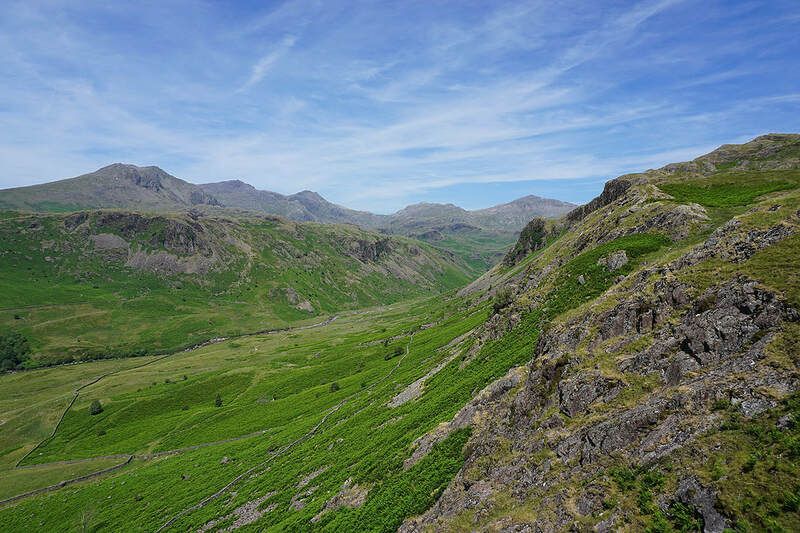 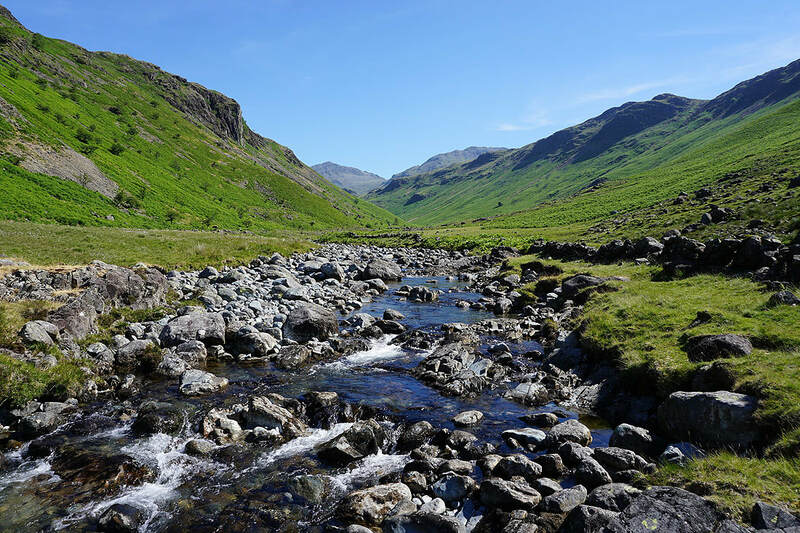 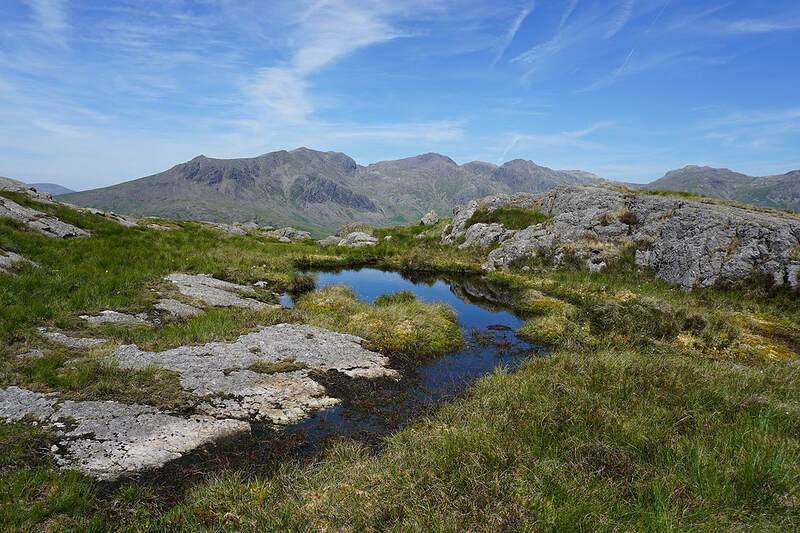 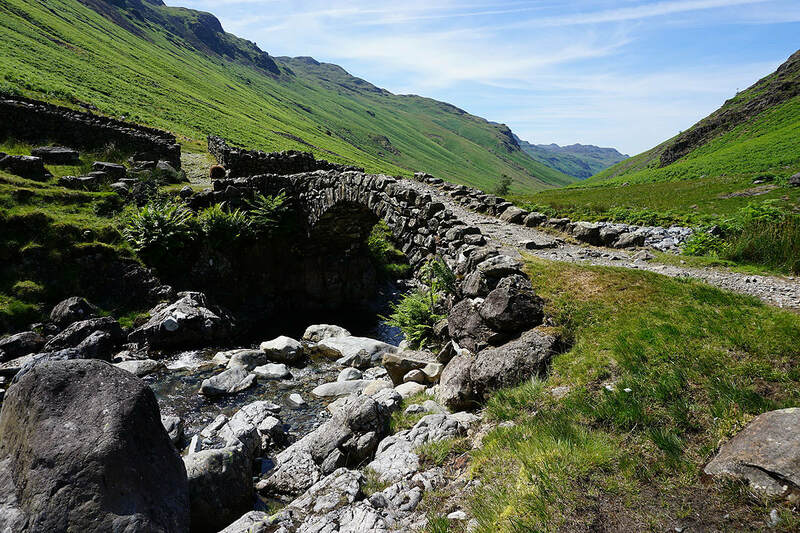 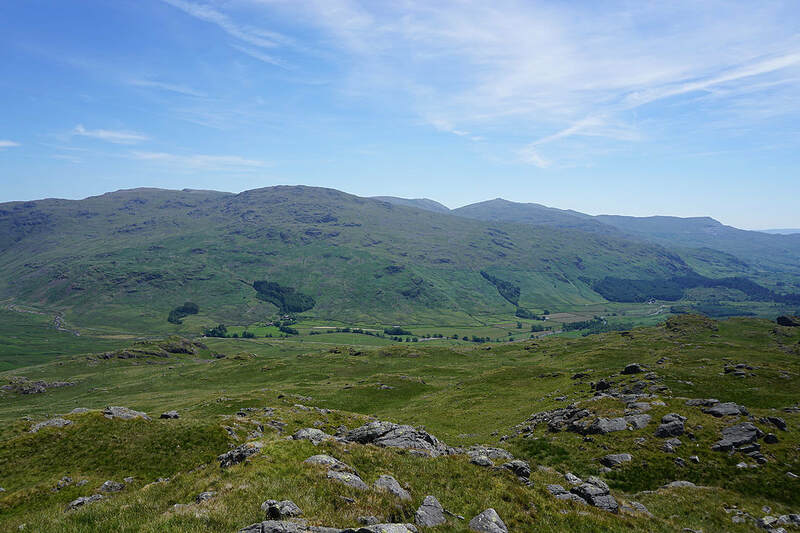 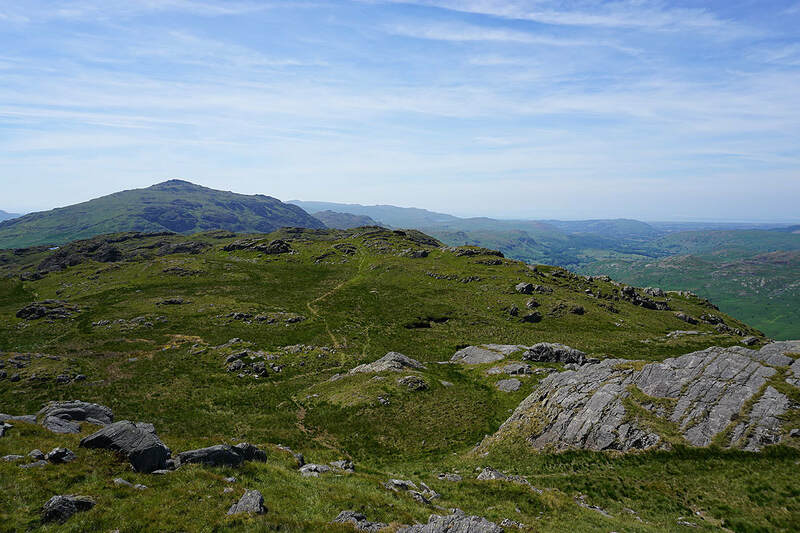 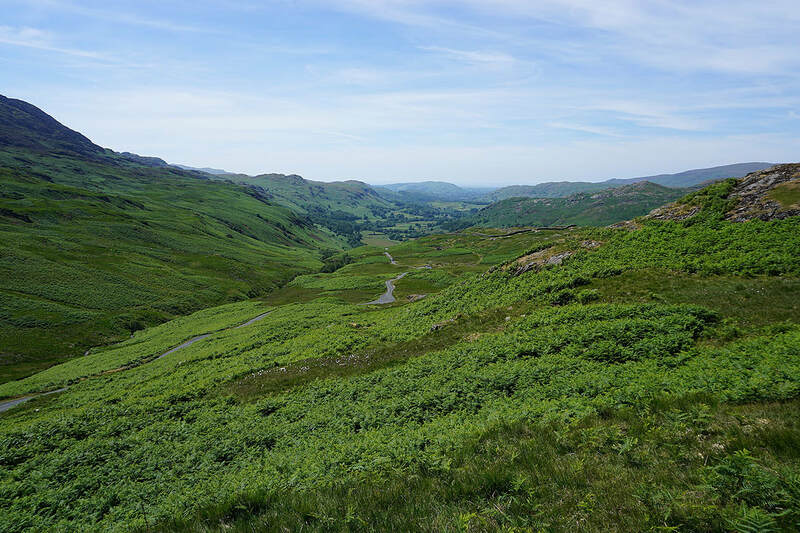 There was plenty of great scenery to enjoy with following the path by the River Esk to Lingcove Bridge and the views of the head of Eskdale from Hard Knott and Border End. 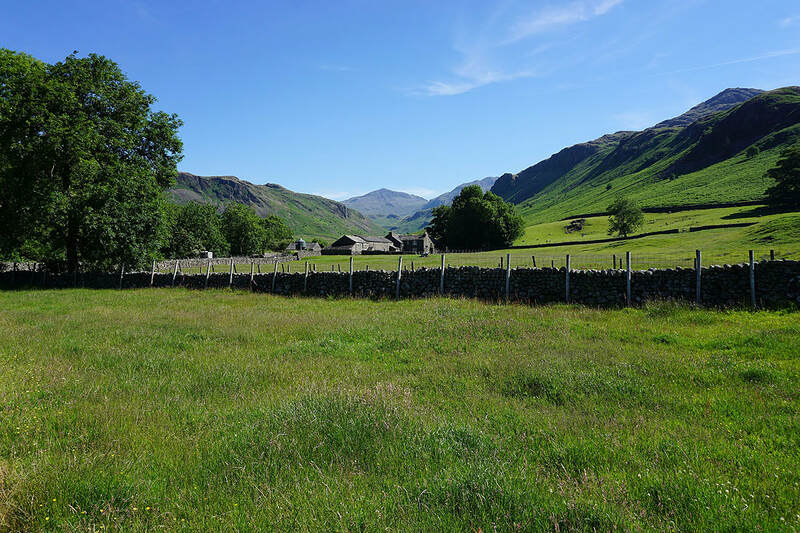 ​From where I parked on the grassy verge by the road near Brotherilkeld Farm I took the footpath towards Brotherilkeld Farm, round the farm and then up the valley by the River Esk to Lingcove Bridge. 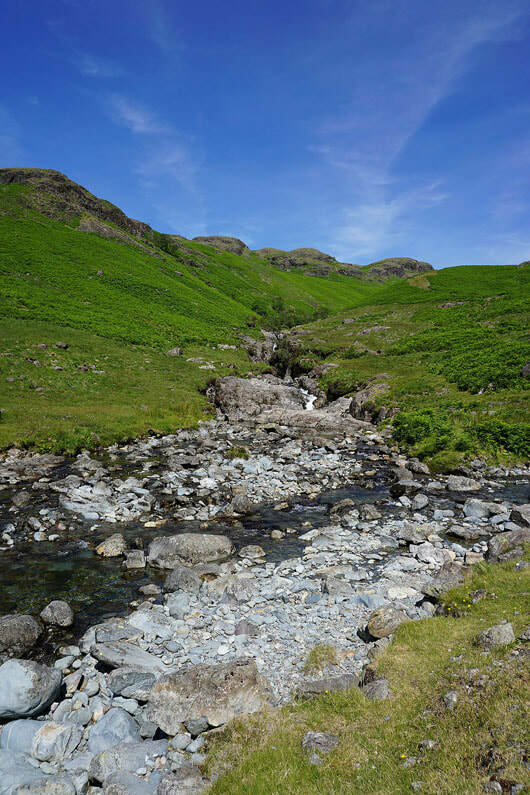 I didn't cross the bridge and carried on uphill on the path by Lingcove Beck to reach the grassy saddle at the northern end of Hard Knott. 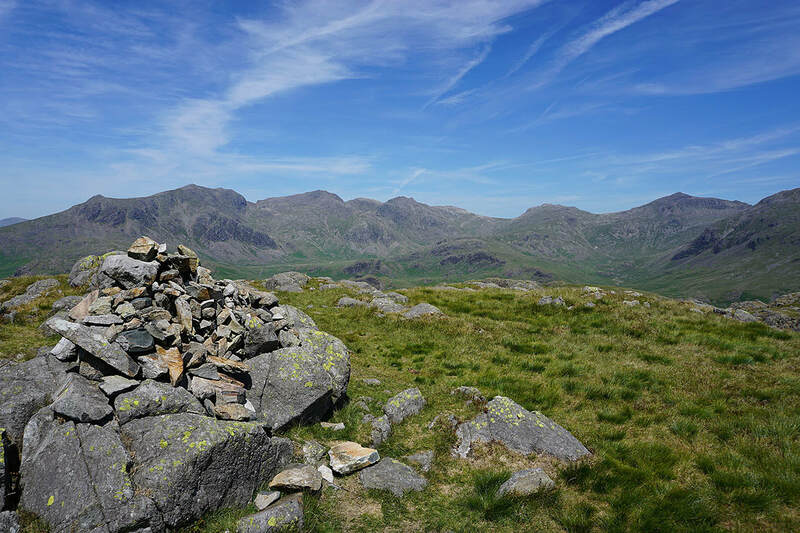 I then made my way south across Hard Knott to its summit cairn. 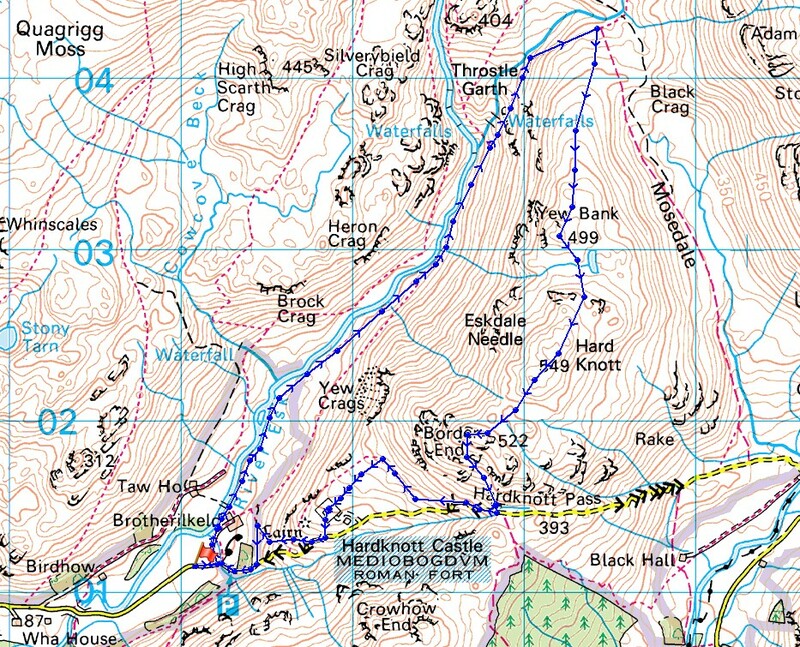 After having lunch here I continued south to reach Border End. 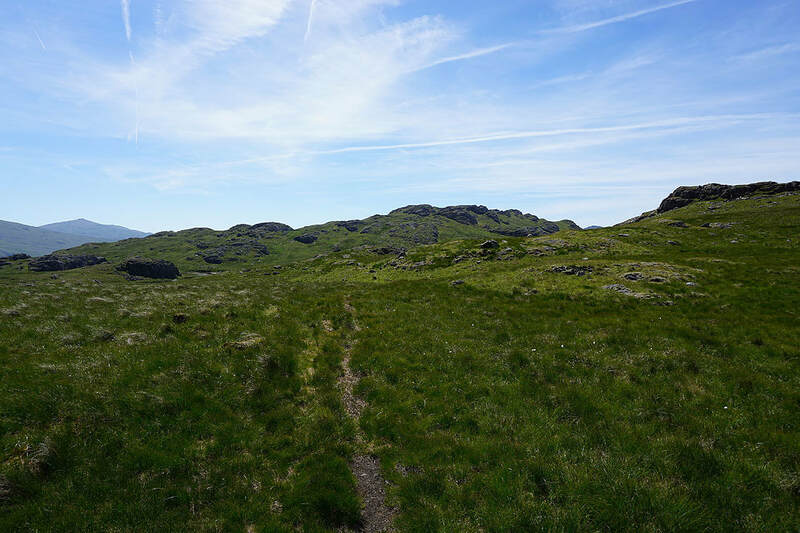 A pathless descent then took me down to the road at the Hardknott Pass. 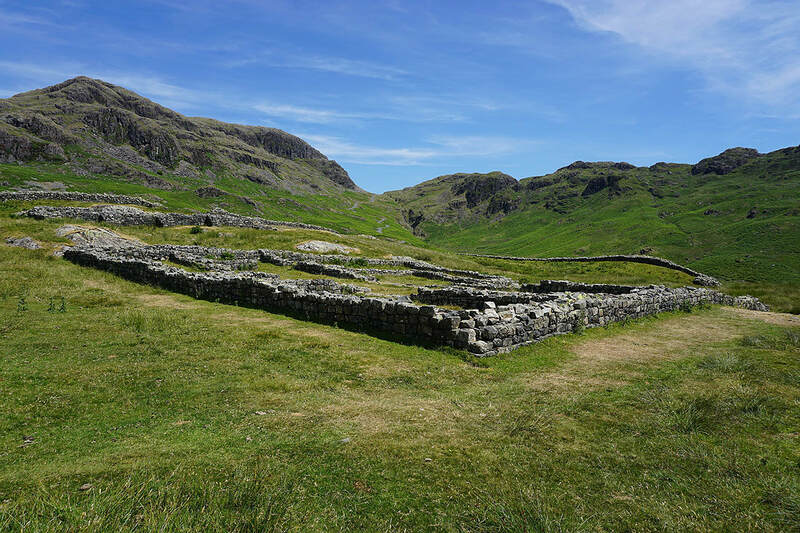 I had a brief walk west down the road until I reached the public footpath across the hillside to the Roman Fort. 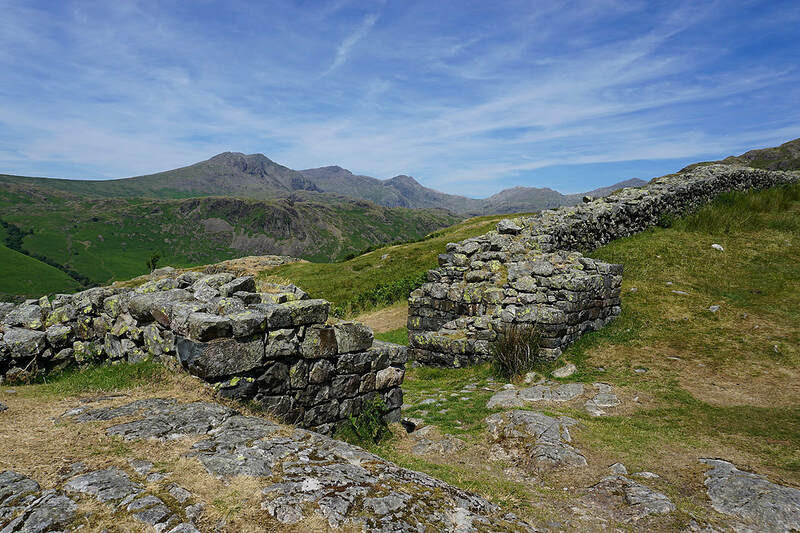 After exploring the fort I made my way out to the road, walked downhill a short distance and onto a public footpath towards Brotheilkeld Farm that took me down to the edge of access land by the road just uphill from Jubilee Bridge. 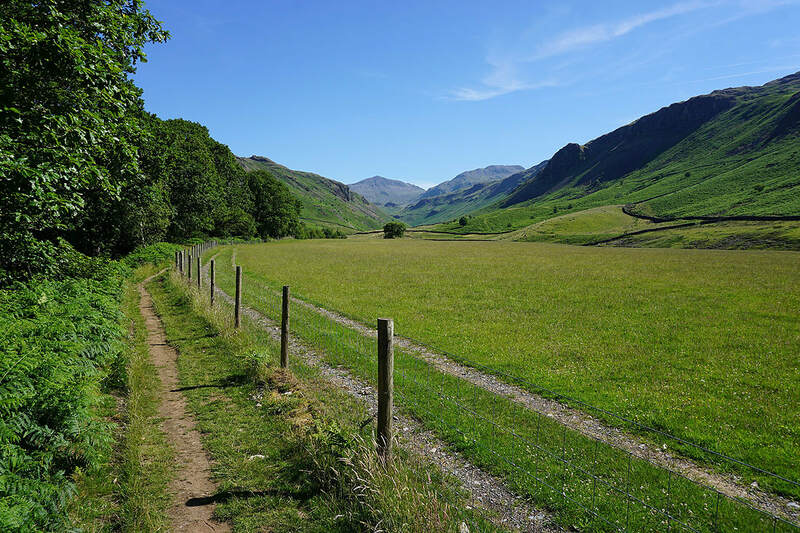 A walk down the road took me back to where I was parked. 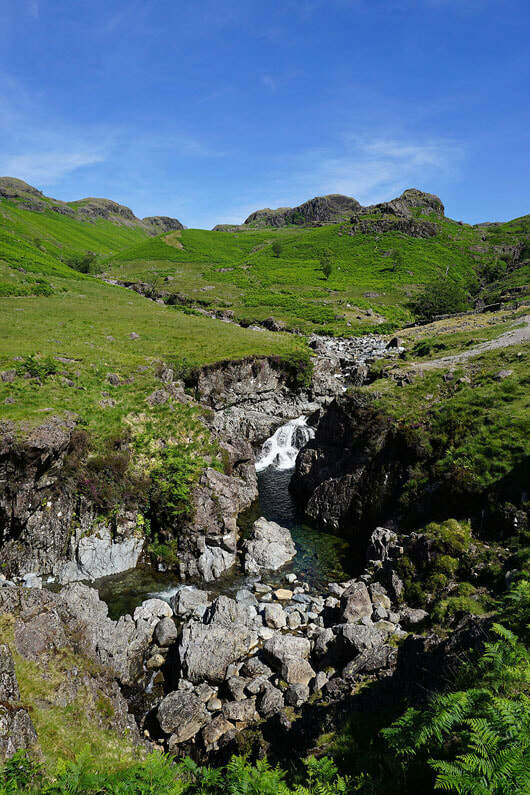 I've taken the path past Brotherilkeld Farm up Eskdale towards Lingcove Bridge..
Lingcove Bridge. 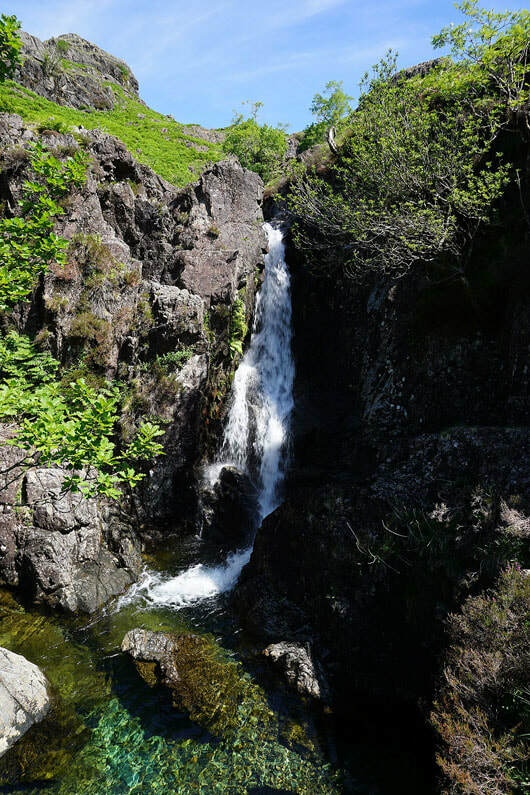 This is where I leave the River Esk behind. 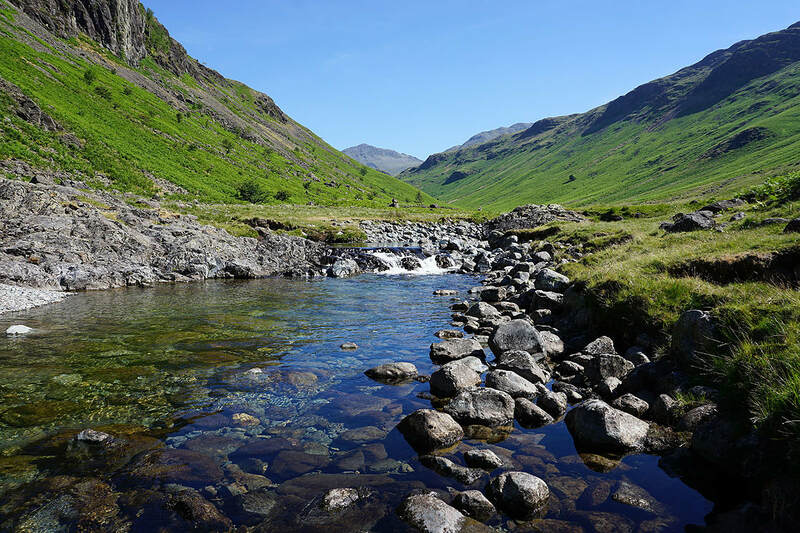 Esk Pike, Bowfell and Lingcove Beck. 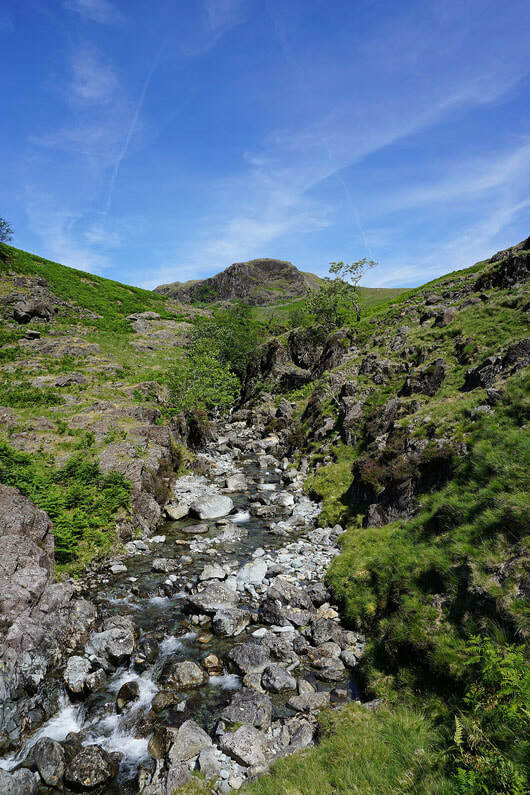 This was where I left the beck behind.. 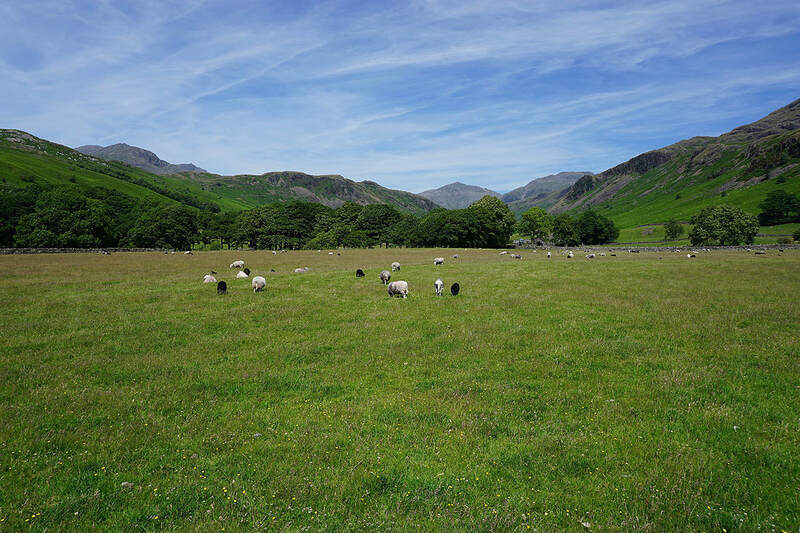 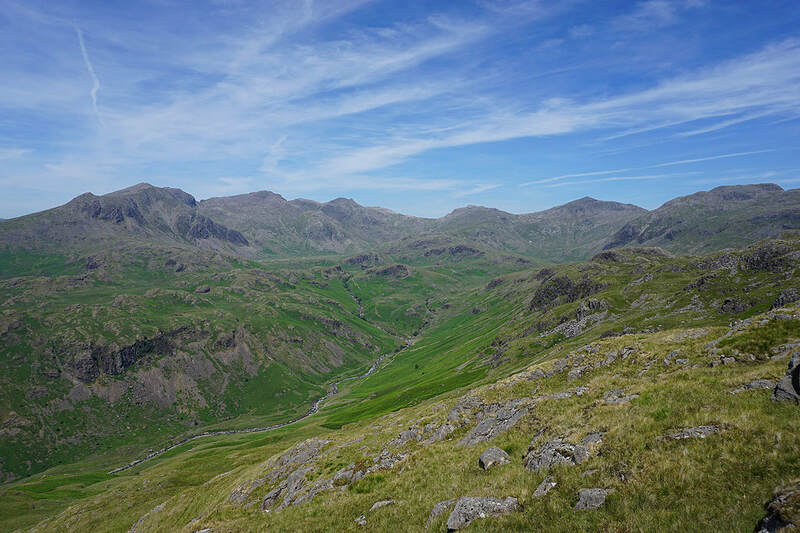 It doesn't take long for the fells around the head of Eskdale to come into view. 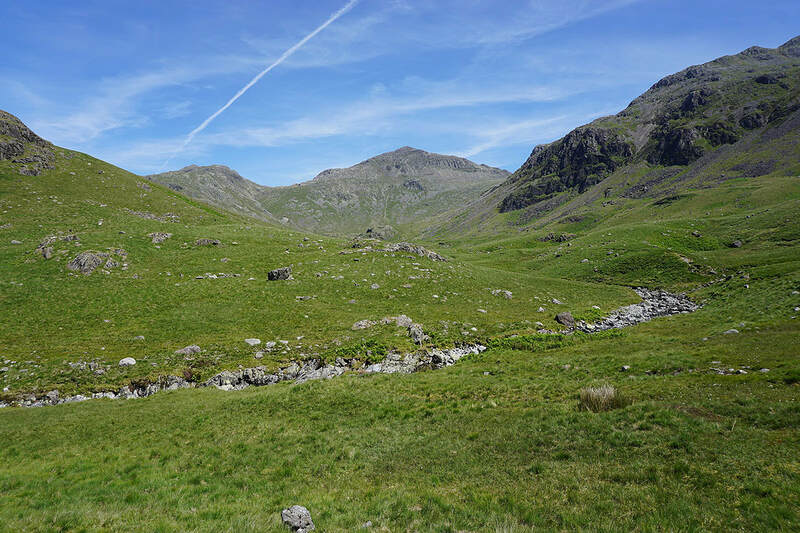 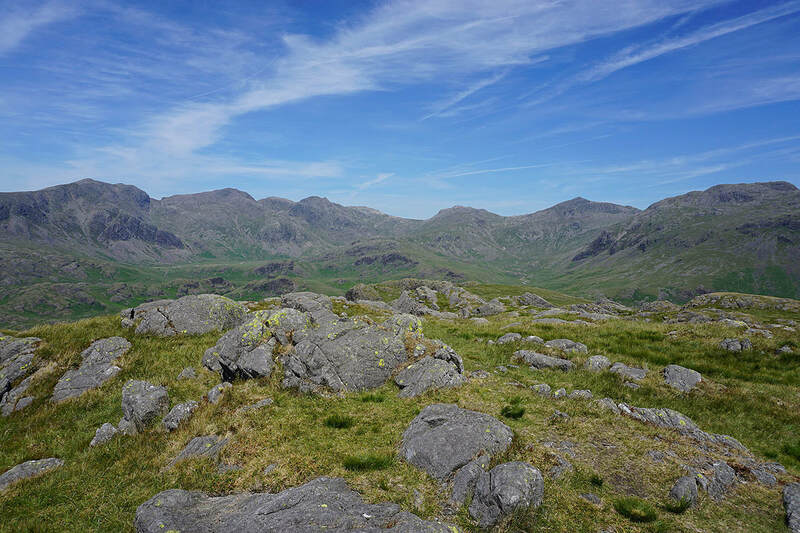 Slight Side, Scafell, Scafell Pike, Broad Crag, Ill Crag and Esk Pike. 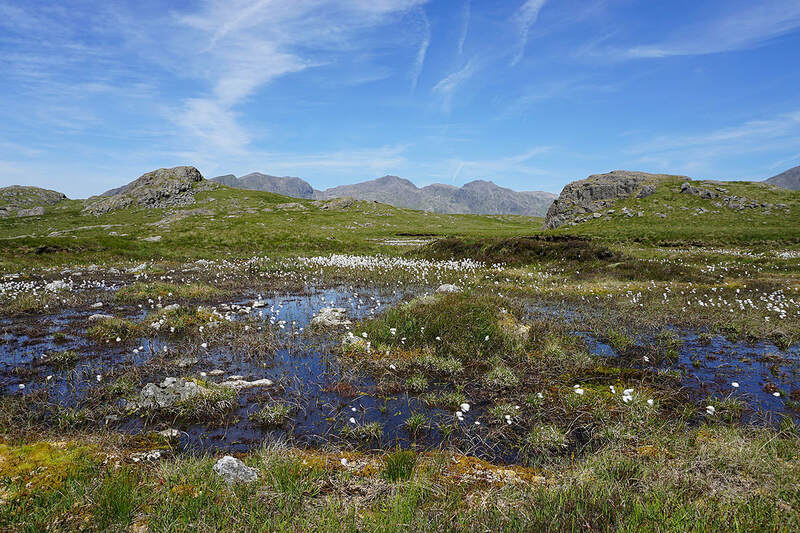 A cotton grass filled pool..